This wonderfully modeled and cast bronze of a dog titled Chum was more than likely a commissioned portrait of a patron's beloved pet. 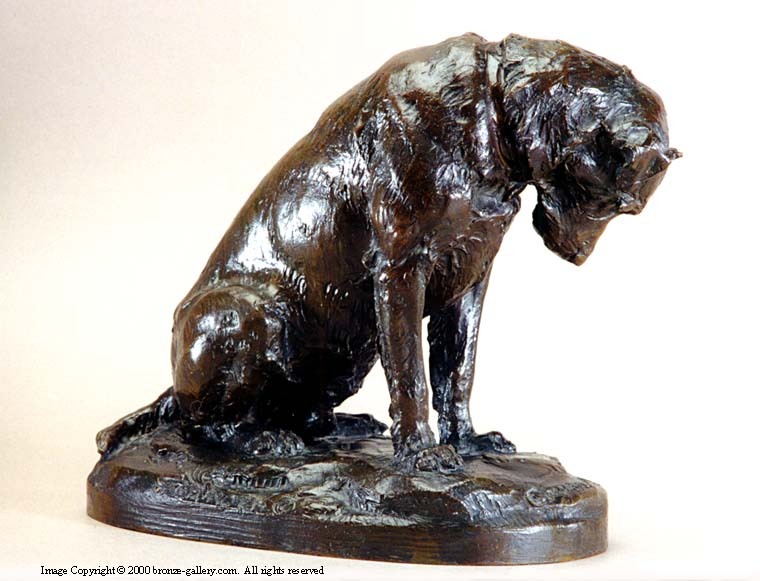 Roth has added a little humor to this portrait by having the dog look a turtle on the base of the sculpture. This Roman Bronze Works cast is in extraordinary condition and is finished in a rich red brown patina. 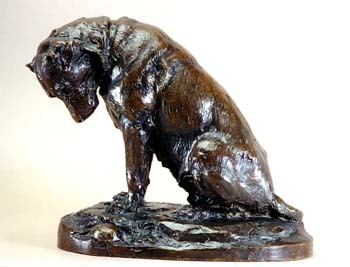 The bronze is signed, dated, and titled "Chum" on the base and is most likely a unique cast since it is a portrait.